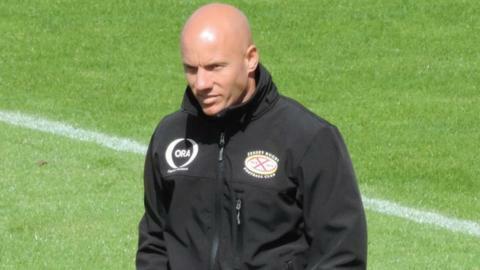 Jersey head coach Harvey Biljon says the 40-10 win at Connacht Eagles shows how the club has progressed. The islanders scored six tries to stay in touch with British and Irish Cup pool leaders Doncaster. "It just shows how far we've come over the last 18 or 20 months where we didn't take anything for granted," he told BBC Radio Jersey. "We came away to Connacht, which is very difficult, and we put on a very professional performance." Biljon made 13 changes to the side which won 35-7 against Ealing the previous week, and the performance has given him some selection issues for upcoming fixtures. "These guys who got the opportunity have been training really well, putting the starting Championship team under pressure," he added. "They went and transferred the hard work they were doing in training, put it into a performance on the field."